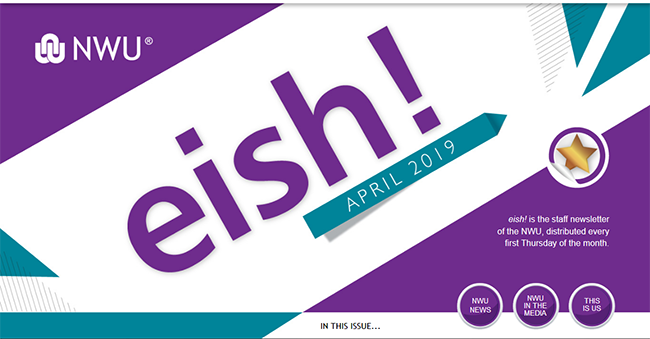 Welcome to the NWU's official staff magazine, the Eish! This magazine is bursting at the seams, filled with the latest news. Read about how our staff contribute towards making students' dreams for the future come true, and how they use their research to find solutions for society's problems. Meet our people who are throwing themselves wholeheartedly into their work to build a better tomorrow for everyone.